I’m often faced with the question ‘what’s the best way for me, or me and my family to get from A to B’? If the journey and destination are both in the UK I find the answer is very often always ‘train it’! On a train ride, it’s easy to have a good time. You can get comfortable, sit back, relax and watch the landscapes of Britain unfurl right in front of you. It also means that if you fancy a quick bite to eat, you can easily grab something from the train, making life even easier. 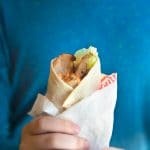 The only trouble with that is that like all on-the-go meal options, train food can be a bit hit and miss depending on which provider you’re travelling with. 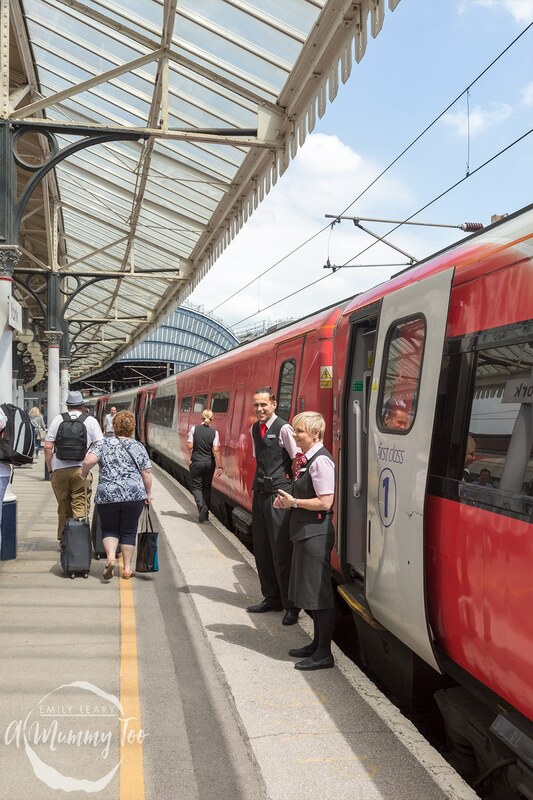 That’s why I was excited to spend a few hours travelling from King’s Cross to York on a Virgin East Coast train, talking to chef extraordinaire James Martin, who has designed the new 2017 summer menu for both Standard Class and First Class. The journey started at Kings Cross – perhaps the most iconic station in the UK (even before a certain bespectacled wizard bagged his platform 9 3/4). Kings Cross is also one of the busiest stations in the UK, with over 30 million people a year starting or ending their journeys there. And of course, a big chunk of them use Virgin East Coast’s services. If you haven’t been to King’s Cross in the last few years, I think you’d be surprised by the recent changes. A large part of the station got a restoration or redesign by the architects John McAslan + Partners in 2012, and there’s far more room to move around these days, along with a variety of shops. The star of the redesign is the concourse and its roof – it’s really stunning in the look and scale of the thing. 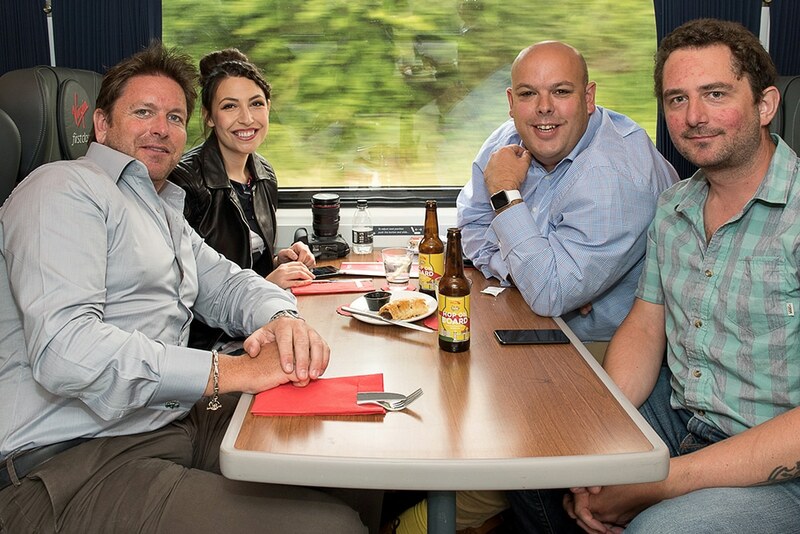 Along with a small group of fellow bloggers, we settled down in first class and got straight on with sampling the new menu. 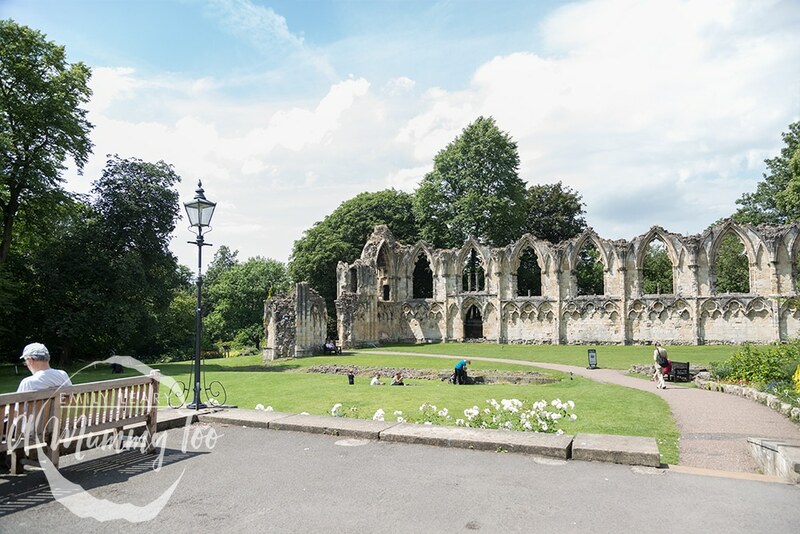 Soon, James joined us and it was time to get the inside track on his process behind creating the menu, and of course grab some tips on his favourite places to eat in York. Before the meeting I had wondered how involved James was with the project, and he honestly blew me away with his knowledge of every detail. This is 100% a James Martin project, not just in the cooking, but the creative ways he’s solved some very unique challenges that come with preparing thousands of fresh meals that can change daily, seven days a week, and all heated and served up in a kitchen that’s very tight on space and moving in excess of 100mph! While speaking to James it became clear very quickly that the challenge of redesigning a great menu in a totally different environment from a traditional restaurant was a big part of the fun. Its unusual challenges were just what attracted him to the project, and his passion shone through. Having designed the menu for Virgin East Coast in 2016 along with his previous experience working on menus for airlines, his knowledge on how to get the best possible food on the menu under such testing conditions was clear. James explained that in a restaurant setting, “if I like something, I can put it on the menu, and the following day it’s there to order. And you can adapt to change”. But for a train service ,it’s a whole different kettle of fish, “here you’re dealing with parameters all over the place, but it comes down to four questions: what can we do? what equipment do we have? who are our supplies? what can we get?”. James shared how he developed the dishes, from making enough for four servings in his own kitchen, to multiplying the recipe up to 20 to test again, then it went to a test kitchen to be made in a run of 200, then 2000, refining and testing all the time, and only if he was happy with how the recipe scaled, and how the frozen and reheated dishes compared with freshly made would the recipe finally be signed off (literally, he signed on the dotted line) and be sent off to be made in runs of 20,000! It really was very interesting stuff and really brought home what a complex challenge serving thousands of meals every day is. I think that’s why it’s so important to have someone like James come on board (pardon the pun) – someone who understands not just great food, but who can find great solutions for how to get it to the customer. 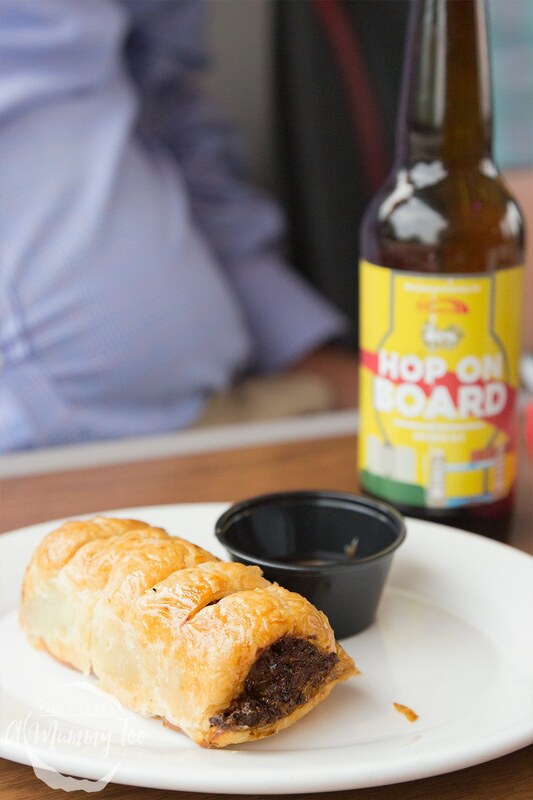 I’m delighted to say that the food on board did not disappoint – it was easily the best grub I’ve has onboard a train. The sausage roll tasted lovely, like the kind that used to be on the counter in my local butchers when I was a kid – warm, flaky pastry and great quality meat in the perfect ratio (James spoke passionately about choosing the right suppliers). The sauce that came with it was sweet and spiced in perfect balance – it’s James’s own recipe that you can’t get anywhere else. I also indulged in a piece of fruit cake that was moist, sweet and tasted just like a fresh fruit cake should. 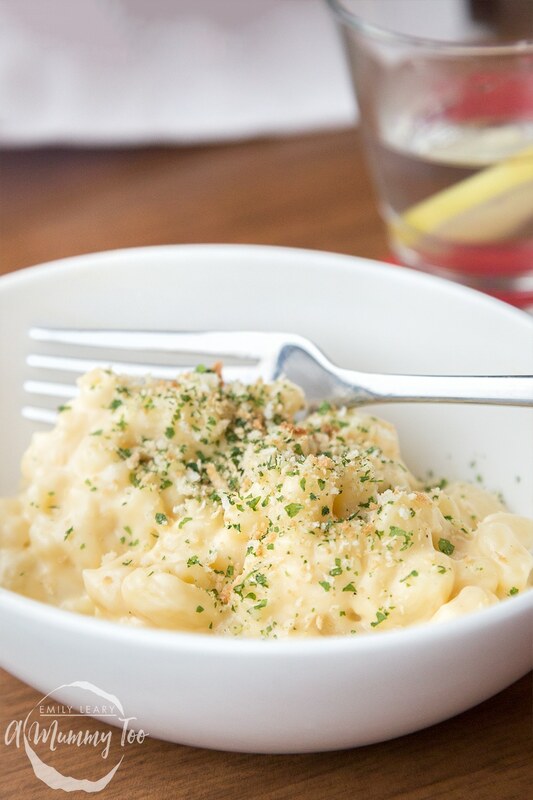 The mac and cheese I sampled tasted delicious: delicate pasta, creamy sauce without a hint of claggy-ness, and a subtle sprinkling of nice crispy crumb on the top. In truth, I found every item I tried to be genuinely very tasty. James also spoke about being able to showcase fresh, local flavours and produce on the menu and it shows. Much of what you’ll find in these dishes comes from producers right by the lines the trains run on. Also pleasing is that the dishes on offer are true to James – they’re the kinds of dishes you’d expect him to develop and offer. James explained his remit wasn’t to include X vegetable portions or to reduce the butter, cheese or other ingredients that might make a dish appear ‘healthier’. His remit was to product great food, and not to compromise the taste. And he knocked it out of the park. 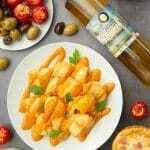 If you’re after a something extra tasty for a meal or a snack, there’s definitely going to be something you’ll enjoy. But with thousands of customers to please, James must place a lot of trust in the production process and in the onboard staff to get his dishes onto the customers tables just right. So who does James turn to to make sure the food is spot on? His mum, of course! James’ dad worked at a station, and his mum still gets free tickets and travels often – he said his parents would tell him straight away if something wasn’t right. I doubt that’ll be an issue though – it’s clear everything has been considered to make sure every customer has a great experience. Arriving into York, we all said our goodbyes. I could, of course, have jumped straight back on the train home, but the opportunity to explore such a beautiful city on the Virgin East Coast line was too good an opportunity to miss. My sister attended York University, so I could just about remember my way around but there were places I had never visited, or hadn’t seen in years. 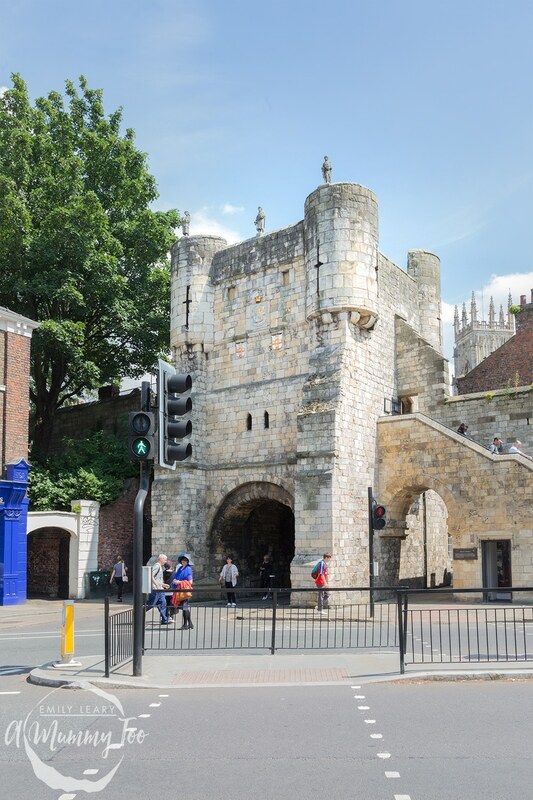 Defended since the Roman occupation by large walls, York still has long lengths of stone winding through the city, which have survived for many hundreds of years. 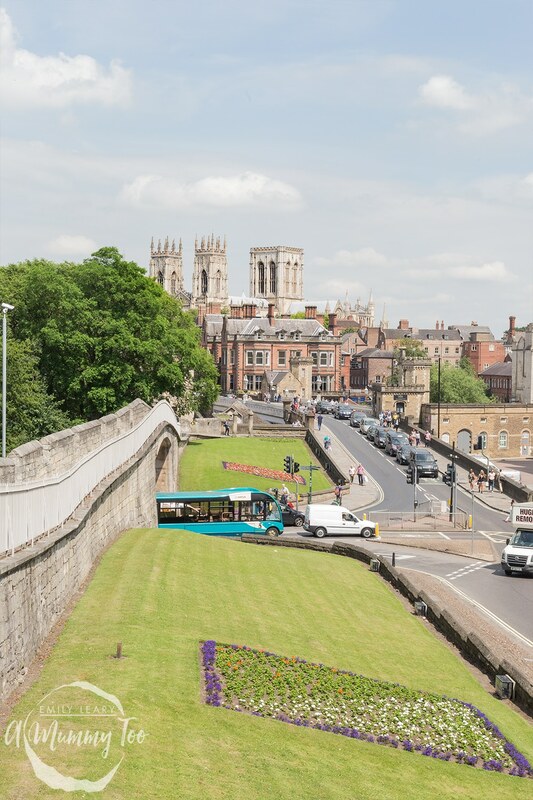 The walls are one of the things that makes York an amazing city for strolling through – so much history and architecture, beautifully intermingled with the modern city. 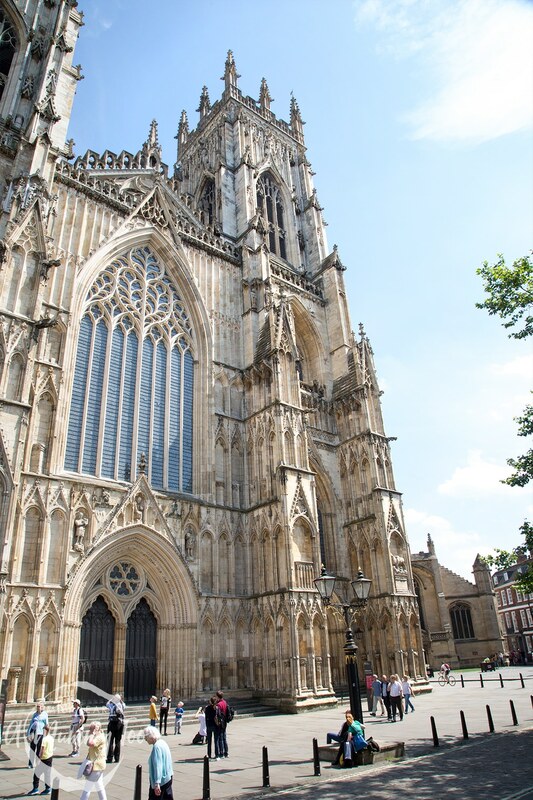 One building with an amazing history and still very much in use is the York Minster. 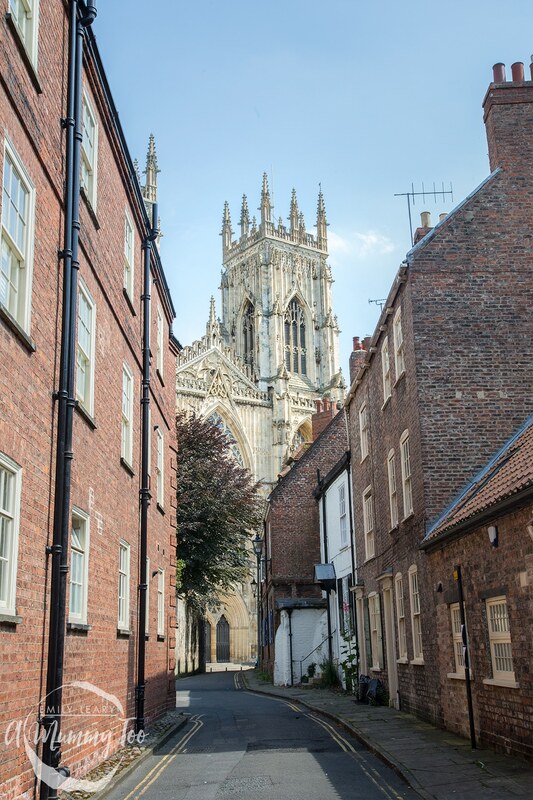 Growing up in Lincoln, I was lucky enough to be near another very grand cathedral, and I think the York Minster is equally stunning. For me it was interesting to see the differences and similarities between the two buildings, and I’ve always found the most spectacular part to be the huge, 400 year old stained glass of the Minster is the Great East Window. 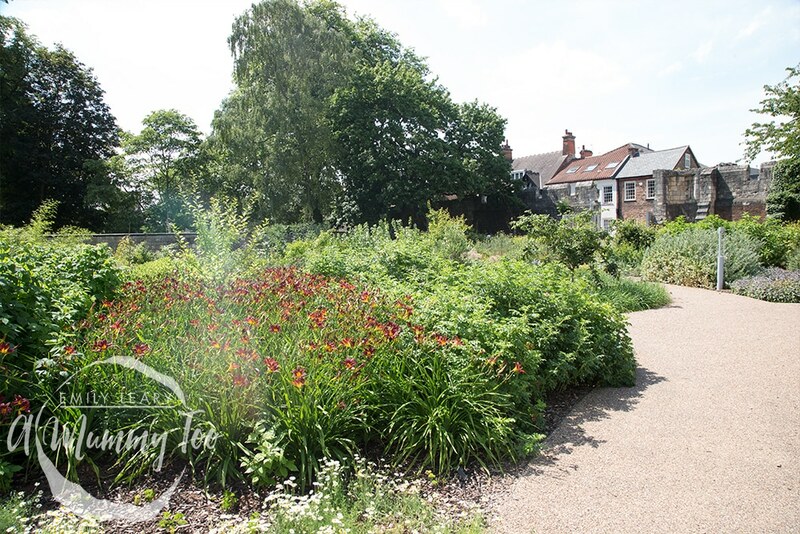 I wandered semi-aimlessly around the city, through museum grounds, stretches of green and edible gardens until I’d worked up an appetite, so I took James’s advice and made my way to Betty’s, a café and tea room. 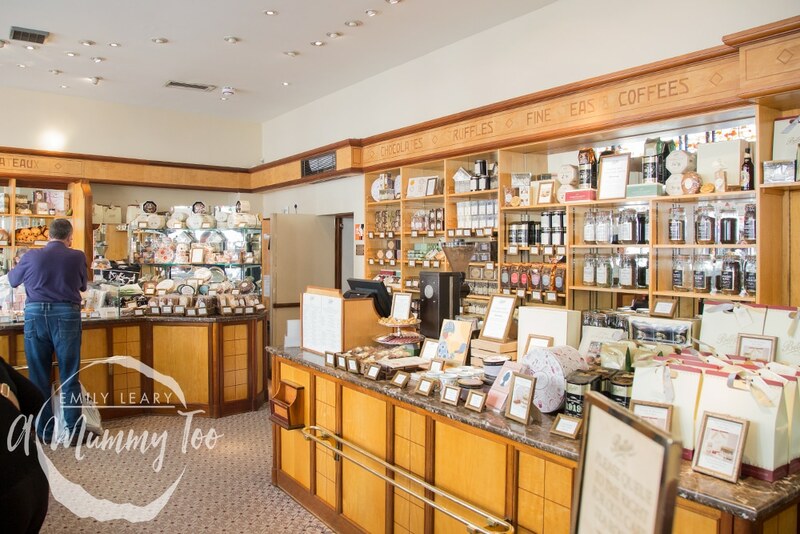 The first Betty’s was opened in Harrogate in 1919, and the one in York has been serving up delicious food in a stunning setting since 1936. Frederick Belmont, the founder of Betty’s, was aboard the maiden voyage of the Queen Mary and the ship’s interior – from the wood panelling to the beautiful mirrors and huge curved windows – inspired him so much that he commissioned the designers and craftsmen who had worked on the ship to turn a run down old furniture store into a beautifully elegant café with looks that have stood the test of time. 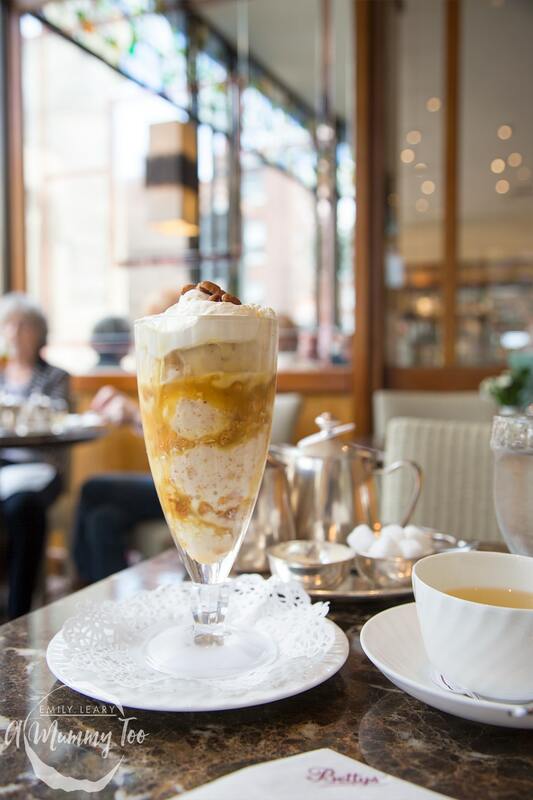 For such grand surroundings, I needed an equally grand treat, so I ordered a ridiculously decadent brown bread ice-cream sundae, replete with almond macaroons, caramel syrup and the star of the show, ice-cream churned with brown bread. It was honestly the best sundae I’ve ever had, usurping the tried and tested chocolate glory in my heart. 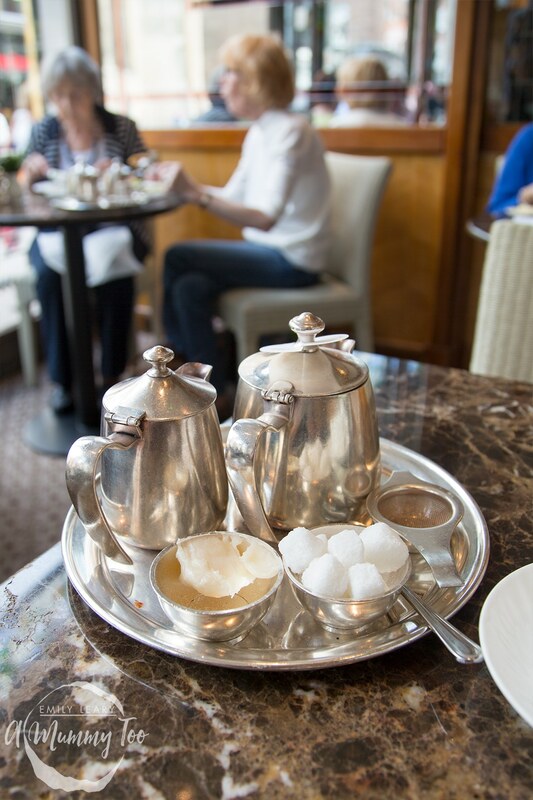 It was original, delicious, and perfectly rounded off with a peppermint tea. You must try it! After such a gorgeous day, I headed back to the station to board my train. Could I fit in one more item off the new Virgin East Coast summer menu? Ah, go on then. This is a commissioned post for Virgin Trains East Coast. I’ve never been to York. Your whole trip looks like a great experience and your pictures are stunning! 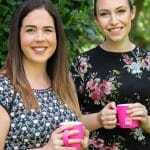 What an amazing event to get involved with! James Martin is one of my favourite chefs! What a wonderful opportunity to meet James and taste his new train menus. What a great experience! Especially to finish in York! One of my favourite cities! I have never actually travelled on an inter-city train and would love to! 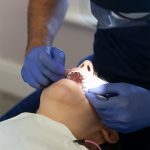 this sounds like you had an amazing experience! I love the look you are giving him in the first photo haha. All the food sounds really great and a bit different from the train food I am used to. What a crazy experience! That mac and cheese looked amazing! I’d so order that! What a great experience! I love that you got a little bit of information from behind the scenes, like where James takes his inspiration from: his parents. It’s great to hear that the ingredients are local and fresh. A smooth train ride with good food plus the beautiful places you’ve visited, this trip is just worth the ride. 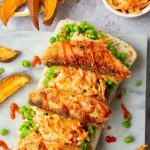 This sounds like an amazing day – train food can often be quite rubbish so it is great to see James making an effort to make it more edible, haha! What a fantastic sounding trip! Trains are always the easiest way to get around and I was quite disappointed on one Virgin train years ago. We were travelling at night for hours and they only had a snack bar open. Yikes. I’m so glad to hear that the food is improving. What a fantastic day! You look amaing too, I love how you’ve done your hair.